The 600-foot mural follows the contours of a retaining wall at the base of a steep hill. 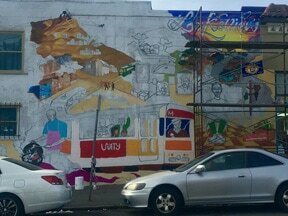 It's next to impossible to get a full panoramic view of the mural and not get hit by a car. Just walking alongside it takes a good 15 minutes. 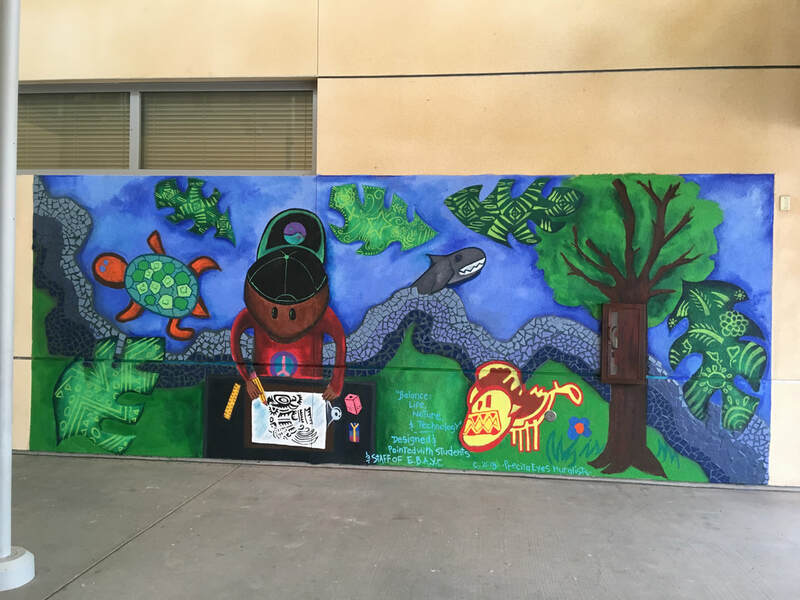 This is the Laguna Honda Hospital mural, completed in February by a team of Precita Eyes artists and community members. 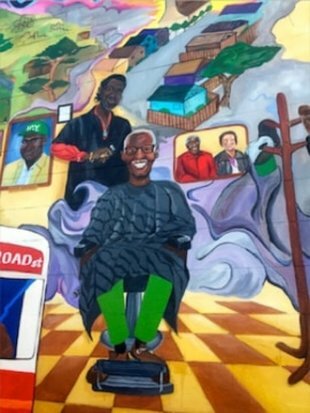 At its base, the mural opens onto the world of the Ohlone before the arrival of Spanish settlers, then traverses the history of the site from the Rancho San Miguel land grant, the first municipal poorhouse and hospital, the tunnel and trains that connect the west side neighborhoods of Twins Peaks, Sutro Tower, the Midtown Terrace, West Portal and Forest Hill, and, in the horizon, downtown San Francisco, the Pacific Ocean, and the future. 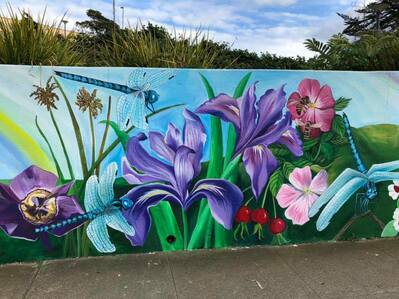 The mural's exuberant flora and fauna are already celebrated, with one of its Great Blue Herons on the cover of Bay Nature magazine, a tribute to the scientific rigor of its imagery. 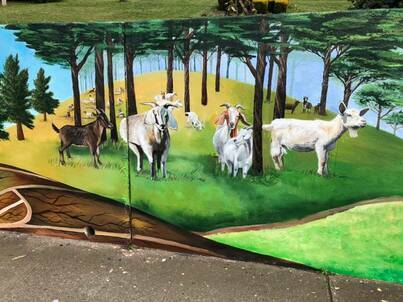 The Laguna Honda mural has been "a journey of research, funding, community building, chipping walls and nonstop painting in the heat and cold," says Chu. 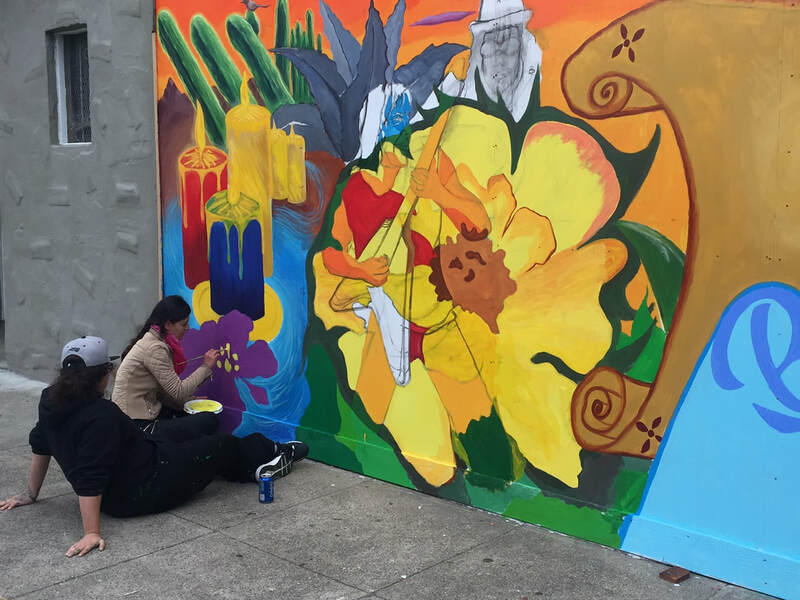 It began when the hospital commissioned Precita Eyes to paint a mural marking its 150th anniversary, celebrated in 2016, and its legacy of care to San Franciscans in need. Initial funding came from the Tides, Zellerbach Family and Fleishhacker foundations. 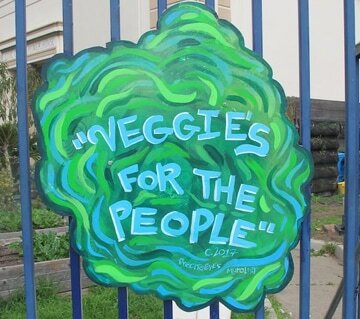 The second and third stages were funded by SF District 7 participatory budgeting grants, with local residents voting it as their favorite project. "We were lucky to have met Supervisor Norman Yee at a Midtown Terrace neighborhood block party," says Chu. "He loved our mural idea and encouraged us to apply. So we gave it a try." 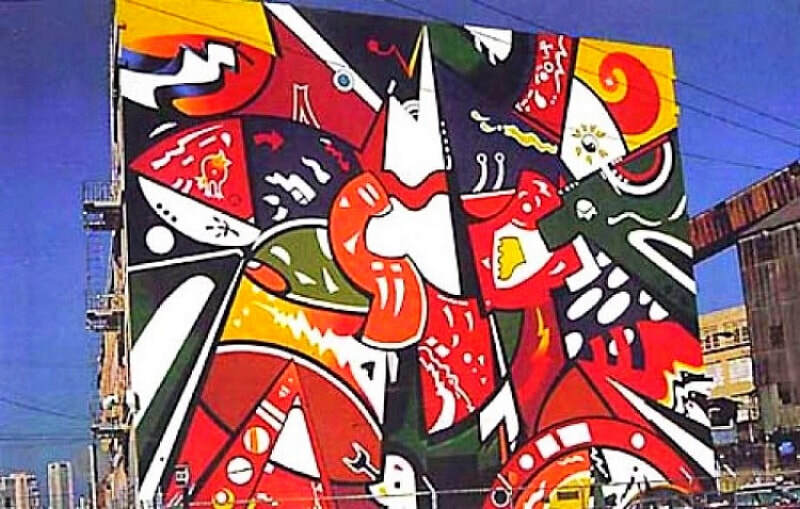 Precita Eyes painstakingly revives two iconic San Francisco murals. 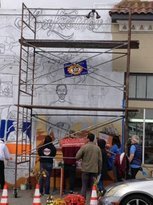 The Ping Yuen mural (above) at the housing project of the same name depicts the contributions, hopes and memories of SF's Chinatown. 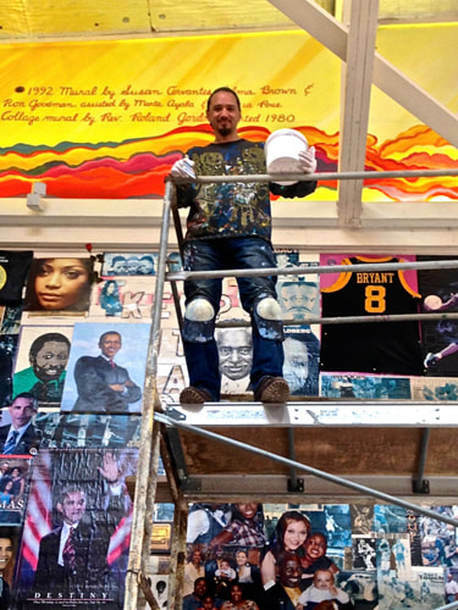 Painted in 1999 by Darryl Mar, who joined the restoration team, the mural at Stockton and Pacific is dedicated to "the memory of Sing Kan Mah and all those who have struggled to make America their home." ​The Zapatista-inspired "Life and Dreams of the Perla River Valley / Vida y sueños de la cañada Perla" (below) -- also painted in 1999 and recently restored by Precita Eyes -- reproduces a mural destroyed in the military occupation of the Chiapas village it depicts. The original work was painted by Mexican artist Sergio Valdéz Rubalcaba. The local version is outside City Lights Bookstore, 261 Columbus Ave.
An American bald eagle and a Bulgarian heraldic lion are not animals you expect to find in the middle of the SF Bay. 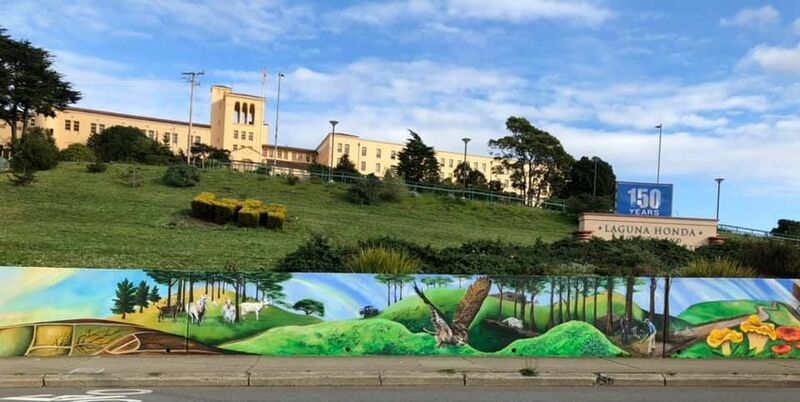 But a new mural by visiting Bulgarian master muralist Oleg Gotchev, a Treasure Island resident for the past five months, adds a colorful splash of bi-national symbolism to the former naval base. 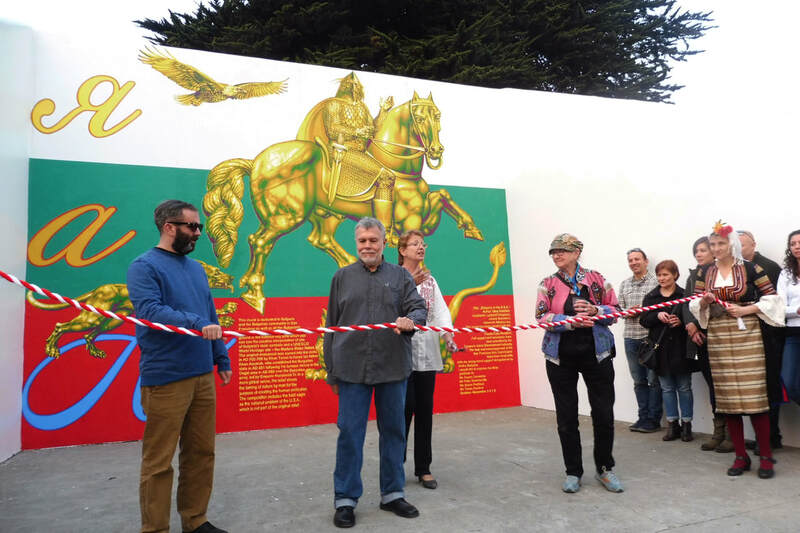 His tribute to “Bulgaria in the USA” was unveiled on the old Navy handball courts (corner of 9th Street and Avenue D) on November 11, sponsored by the Treasure Island Development Authority and the friendship of Precita Eyes. The elegant mural, with its elaborate gold figures against the green, red and white of the Bulgarian flag, is Gotchev's farewell gift to San Francisco, where he spent the last five months as a Fulbright scholar. A professor at the National Academy of Arts in Sofia for the past 30 years, Gotchev wants to create Bulgaria's first non-governmental mural arts organization to promote "a really new, vital and independent mural art that reflects the spiritual needs of contemporary society." "Socially-oriented murals are uncharted territory in Bulgarian mural art," says Gotchev, who leads the mural division of the Union of Bulgarian Artists. "The kind of murals you see in San Francisco, the kind that present the problems of society and diverse social groups, don't really exist in my country." 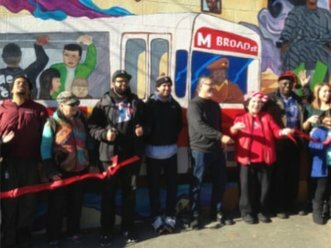 Getting to know Precita Eyes — its murals, its people, and its community-driven model of financial support — was an eye-opener for the 64-year-old artist. He feasted on the "intensely vibrant, strong colors" of what he identifies as "the Precita Eyes style." He thrilled to the symbolism, mythological figures and lush vegetation that, as a newcomer to Chicano-style art, he sometimes struggled to decipher. Gotchev interviewed artists and cultural institutions, including the SF Arts Commission. 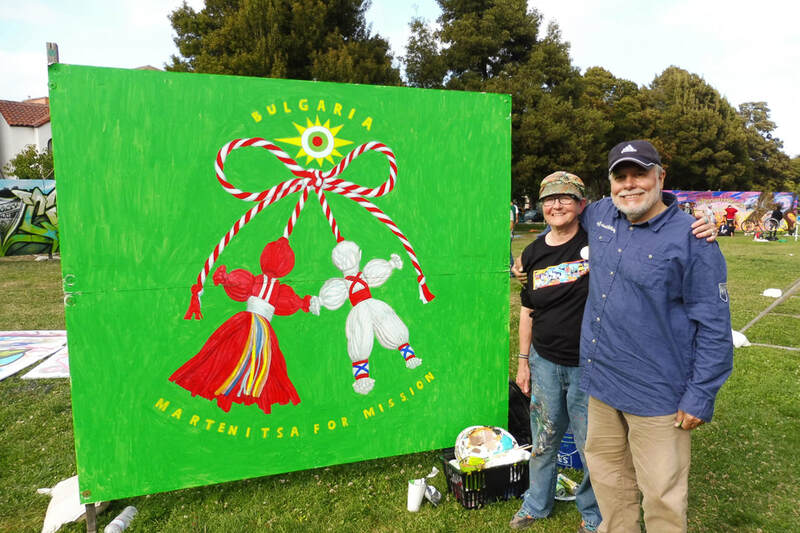 He was also an enthusiastic participant in the Precita Eyes Urban Youth Arts summer festival, where he painted a "pop-up Martenitsa" — a portable mural version of the iconic Bulgarian folk figure, guaranteed to bestow happiness and good luck. Martenitsa for Mission: The Martenitsa is a small red-and-white amulet exchanged by Bulgarians to usher in the spring and protect against evil. In this version, painted by Oleg Gotchev (pictured here with Precita Eyes' Susan Cervantes), folk figures Pizho and Penda hold hands under a rainbow, inviting participants of Precita's Urban Youth Festival to join their dance and search for eternal happiness under a Bulgarian sun. Bulgaria in the USA: National symbols of Bulgaria and the US adorn this mural. Foremost is the golden image of the Madara Rider (or Madara Horseman), a medieval rock carving of a knight triumphing over a lion. Carved into a 100-meter cliff in northeastern Bulgaria during the reign of Bulgar Khan Tervel in the early 8th century, it honors Asparuh, the founder of the Bulgarian nation. At the ribbon cutting, Gotchev (center) is joined by Treasure Island Development Authority Peter Summerville (left), Susan Cervantes (right) and members of the SF-based Bulgaria-Antika Cultural Club. Calle 24 Latino Cultural District street sign. Susan Cervantes with young muralists at Calle 24's Fiesta de la Americas. Flags of the Americas stand sentry along the 14-block corridor. The subject of a mid-October email from the Calle 24 Latino Cultural District could not have been more emphatic: stop the imminent eviction of "two of our most historical anchors" — Panadería La Victoria and Galería de la Raza. The call reverberated up and down 24th Street, home to the Mexican bakery, the landmark gallery and Precita Eyes. 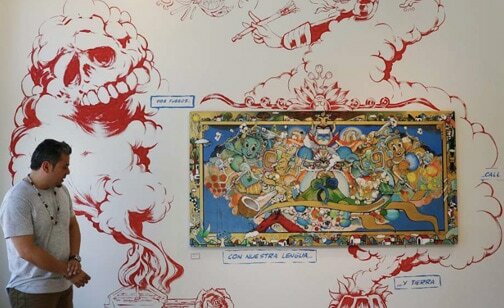 At the Precita Eyes Mural Arts Center, the appeal brought a sense of dejá vu. 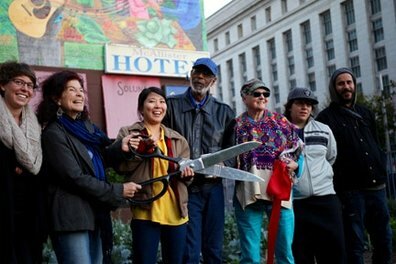 ​"We faced eviction 20 years ago," says Susan Cervantes, founder and director. "There was no place for us to go." So Cervantes, who sits on Calle 24's Arts and Cultural Assets Committee, did what any good neighbor would do. She penned a letter of support "written from my heart" and walked it over to the corner of 24th St. and Bryant that's been home to Galería since 1972. 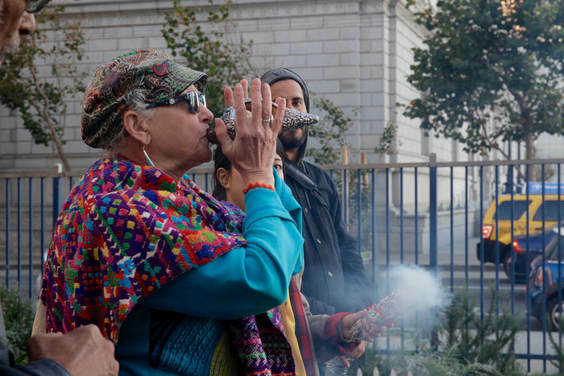 "Community pressure and the intervention of SF Supervisor Hilary Ronen brought a momentary reprieve from a three-day notice of eviction, but subsequent talks broke down, according to the SF Examiner, leaving the gallery's future uncertain. The galley is calling for public support here. 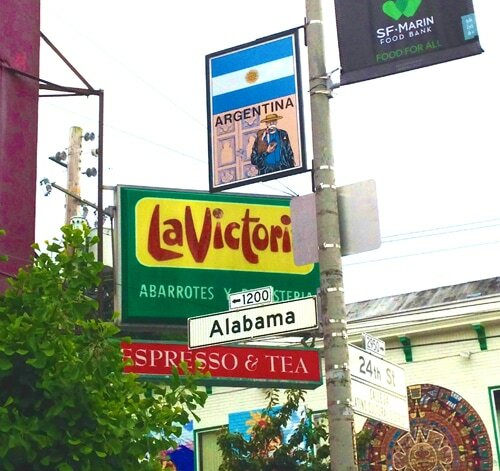 La Victoria closed its doors in early October after 67 years. Thanks to an earlier process that Cervantes describes as a "miracle," Precita Eyes is now one of the few local arts non-profits that owns its own home. 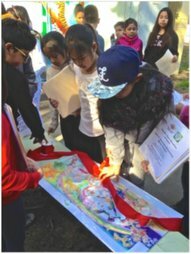 Calle 24 is a neighborhood advocacy group unlike any other. It's the first SF cultural district declared by the Board of Supervisors (in 2014). And its powers of persuasion are backed by a measure of formal clout: to safeguard the storefronts of small businesses and non-profits along the street, for example. "Calle 24 has the responsibility to be a model," says Alley Cat Bookshop owner Kate Razo. "Without an organization, we're each alone in our own shell." San Francisco recently designated the SOMA Pilipinas and LGBTQ+Leather cultural districts, with several more in the works. 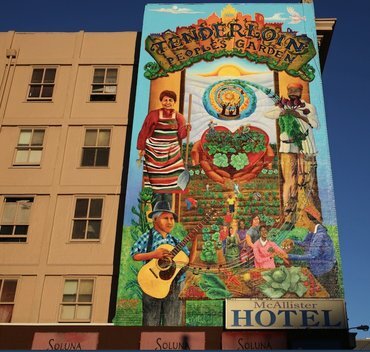 Should SF voters pass Proposition E on the November 6 ballot, groups like the cultural districts would receive city funds for the first time, reallocated from the existing hotel tax. 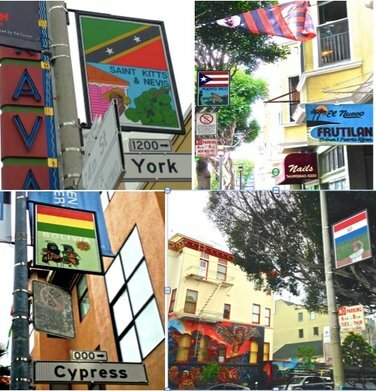 The return of the Flags of the Americas, restored to 24th Street after 30 years of neglect, was a Calle 24 priority that Precita Eyes was delighted to fill. 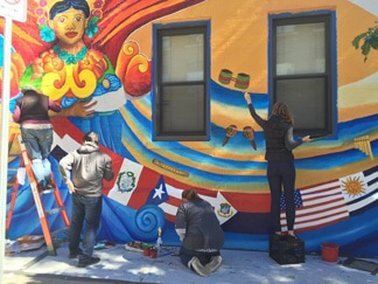 "Calle 24 is helping the neighborhood move forward by recognizing the importance — to the city, to its visitors — of preserving Latino arts,” says Cervantes. 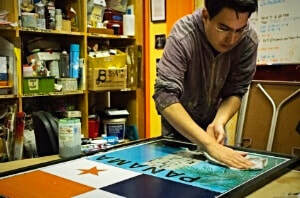 Razo and Cervantes hosted a mentoring session for young entrepreneurs as part of October's Paseo Artístico, one of Calle 24's signature events, held every other month with free mural tours, talks, music and dance at Mission Cultural Center, Brava Theater Center, Acción Latina, Dance Mission Theatre and Adobe Books. 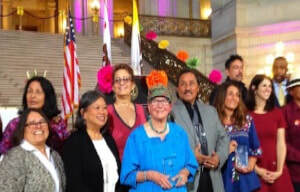 It also hosts annual Día de los Muertos activities, SF Carnaval, César Chávez Parade and Fiesta de las Américas. ​Heritage might be the most visible part of Calle 24's programming, but "we're not a museum," says Erick Arguello, its president. "We're a living, breathing cultural district, with working class residents and arts organizations that thrive here and must continue to thrive." Arguello describes himself as a "regular guy who grew up around the corner, and an activist making sure this community stays intact." "Remember, it wasn't so long ago that Latino artists weren't allowed to express themselves in galleries," he notes. 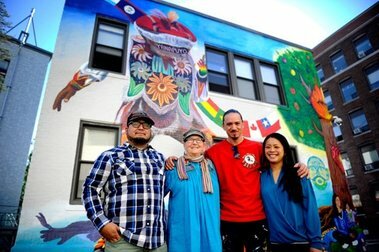 "That's what the murals do: they reflect the community from the inside out. Precita understands community and struggle." 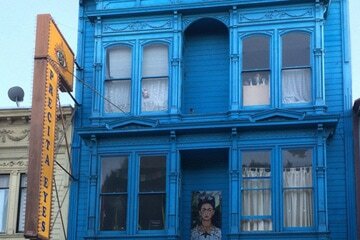 Twenty years ago in the Mission, the Lilli Ann mural disappeared overnight to a developer's zeal. Public outcry and a landmark legal decision brought partial redress. But the cycle of mural erasure and community resistance continues today. ​Campusano's abstract rendering of garment work was funded by SF's largest public commission for a work of art to date. 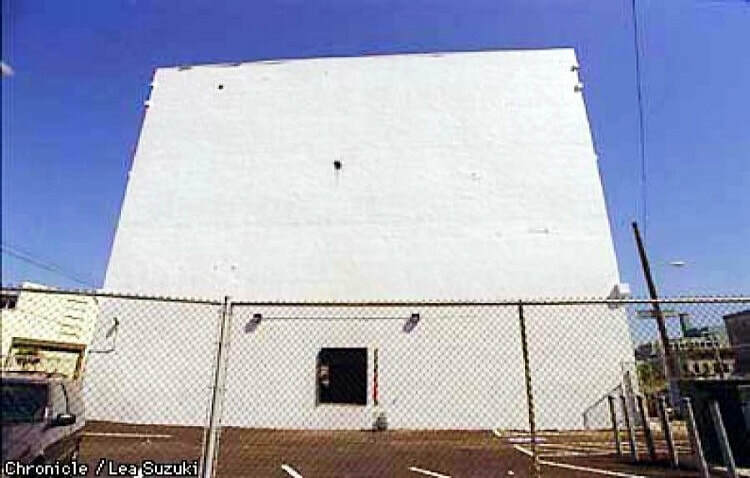 When the building transitioned from clothing factory to dot-com headquarters in 1998, the mural was erased without prior notice and obliterated in a single day. The community reacted with a mock funeral and resurrection ceremony. Campusano had died the previous year, but his artistic partners and heirs sued under the Visual Arts Rights Act. This federal law stipulates that building owners must contact artists before changing or destroying their work. 50 Balmy Law obtained several restraining orders —too late to save the work— but later won a landmark VARA claim, the largest at the time. The importance of the ruling and its limitations were explored by historian Cary Cordova in her presentation Battles over Latino Art and Public Space in San Francisco. 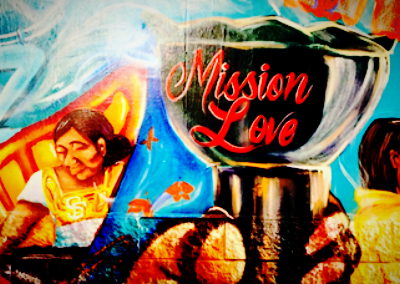 Author of The Heart of the Mission: Latino Art and Politics in San Francisco, she spoke at the ¡Murales Rebeldes! 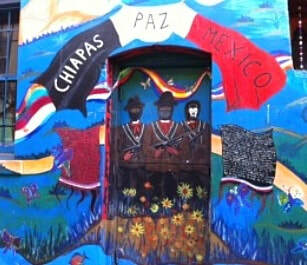 exhibition of L.A.'s Chicano/a murals under siege, at the California Historical Society until September 16. Lilli Ann is gone. 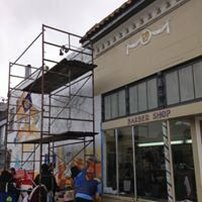 But her spirit remains, notes Precita Eyes founder Susan Cervantes, "to guide local artists, arts organizations, businesses and the Calle 24 Latino Cultural District in keeping diligent watch over the cultural assets of the community by supporting their maintenance and preservation." 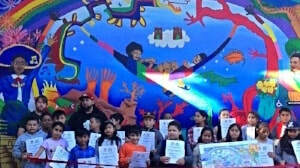 Fifth graders from Marjorie Tobias Elementary School in Daly City show their muralling talents in two workshops held over three months: “Protect Our Oceans Filled with Schools of Busy Fish,” led by Ellen Silva with Robert Louthan; and “What the Sea Brings,” led by Eli Lippert with Flavia Mora, all artists working with Precita Eyes. 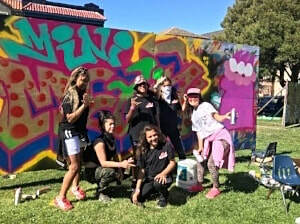 Designed and painted by Mission Girls at their headquarters on 24th St. with Folsom, Mission Love illustrates the affection these young women have for their neighborhood and the traditions that motivate their resilience. At one end, an elder clears the way with a copalero, Loco Bloco drums pound ou​t Amor and Paz; a papel picado banner spells out Mission Love in America Sign Language, and a low rider's car bears a DREAMER license plate. 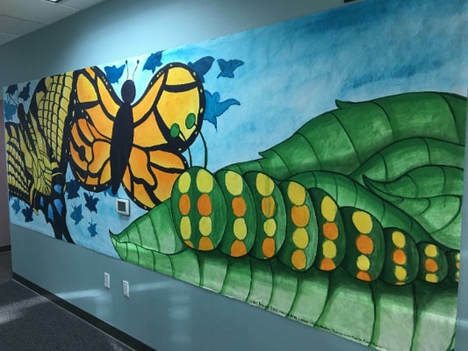 Butterflies represent the journeys of migrant families, culminating in a graduate in a cap and gown who has overcome the difficulties of staying in school, inspired by her parents' sacrifices. The four-month workshop was led by Precita collaborator Priya Handa, with Julio Badel and Amber Ramirez. "Brainstorm subjects, put in categories, make rough drawings, and have meetings to see how to combine out ideas. Then research the cultural patterns we want, combine drafts and come up with something interesting ... things we think other people, young or old, would like." Precita mentors Carla Wojczuk and Fred Alvarado directed. 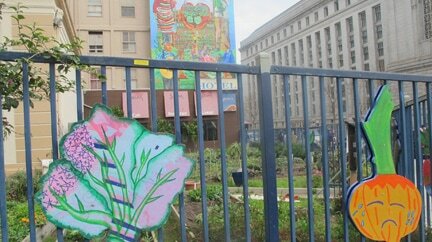 Created by residents, two dozen mosaic panels now beautify gardens in three locations. "We're creating our own little Golden Gate Park here in Woodside,” commented 91-year-old Fira Valentina (top, right). "Learning a new craft keeps the mind young," a former construction supervisor, now in his 70s, noted. "Even at my age, I love to keep building things." 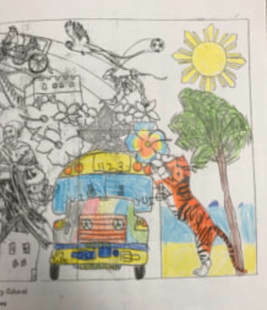 Dozens of seniors worked for several months under the guidance of six Precita Eyes artists, transforming community rooms into art studios with buckets of tile, netting and hammers. Workshops on mosaic design and construction included interpretation into Chinese, Spanish and Russian. 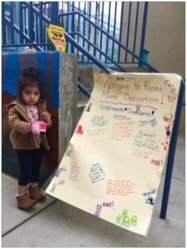 The project was funded by Bridge Housing at its Sanchez, Duboce and Woodside residences, in partnership with the Mission Economic Development Association. ​Clockwise from top left: Volunteer artists give form to a Golden Eagle soaring over sand dunes; a Monarch butterfly feeds on milkweed; Humpback whales leap from SF Bay waters. More photos and mural details, here. 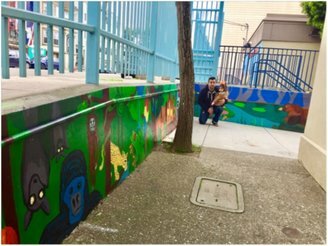 Your support of Precita Eyes not only sustains San Francisco's unique mural arts organization, it literally helps provide the paint that beautifies our city's walls and public spaces. We need your help to keep our mission alive. Give a gift that enriches community through art. 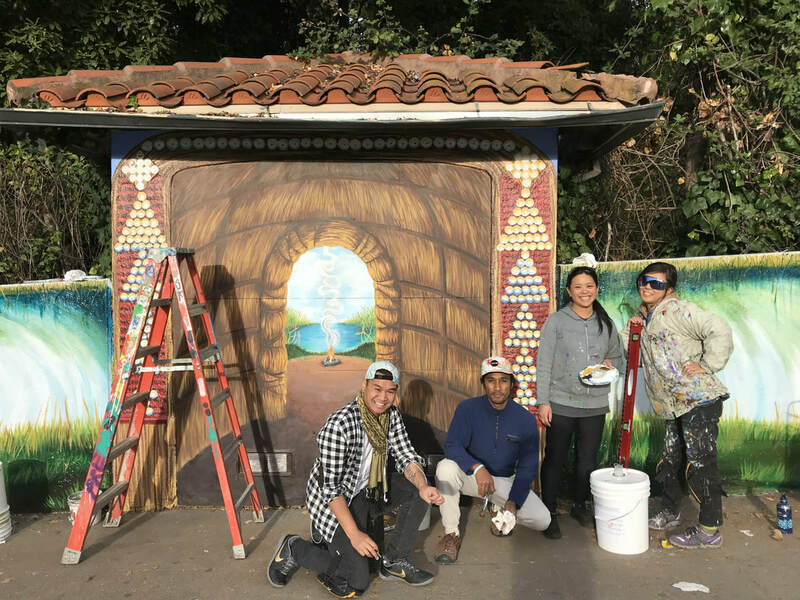 Make a donation to Precita Eyes Muralists here, or become a member and receive special benefits. 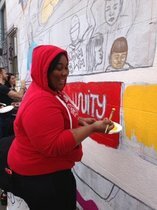 A deck of cards re-imagined by Mission youth brings harmony back to a wall on 24th St. and Folsom. 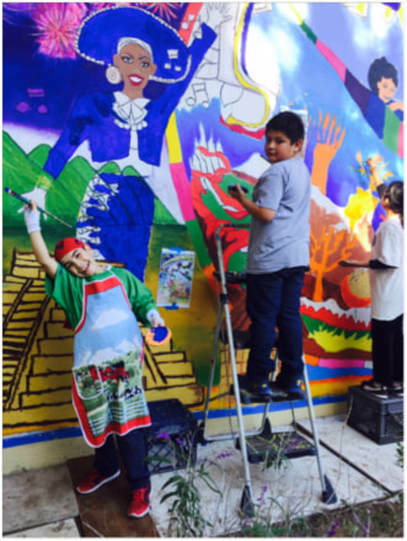 The new Precita Eyes youth mural exemplifies its title: La Cultura Cura (Culture Heals). 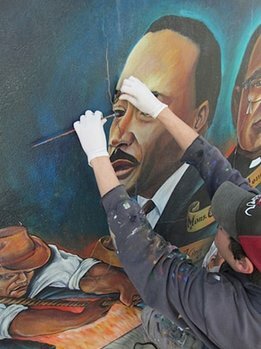 That's because the mural came about in response to missteps involving the unauthorized whitewashing of a Precita Eyes mural by a newcomer to the neighborhood. (Read backstory here). 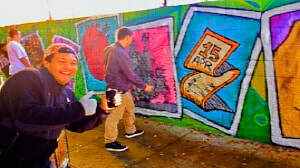 But all's well that ends well, and this month, the crew completed the replacement mural: Lotería cards reinterpreted by Mission youth, including La Mano (a hand shaping "SF"); Tristeza (sadness, a building on fire symbolizing tensions over gentrification); El Lowrider; a family; a heart; and a tile proclaiming neighborhood pride. 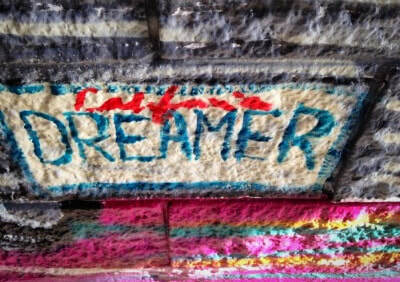 It's a mural that's bound to become an instant landmark for lovers of Latin rock. It's a visual tribute and portrait gallery of dozens of bands and musicians whose beats punctuate the Mission. 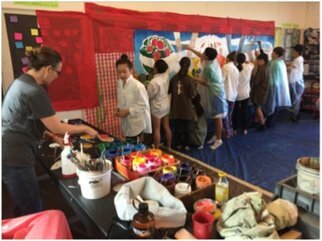 And while the musical history that inspired the mural will resonate with many, it’s just part of the story for the students who designed and painted it as part of Precita Eye's Urban Youth Arts program. 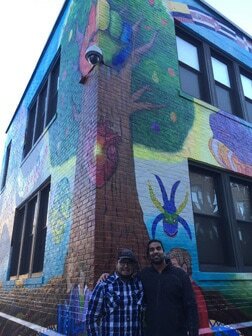 The community mural project is a collaboration between four lead artists, three​ youth apprentices/interns, a dozen youth participants, volunteers, neighbors and the ​owner of the building. 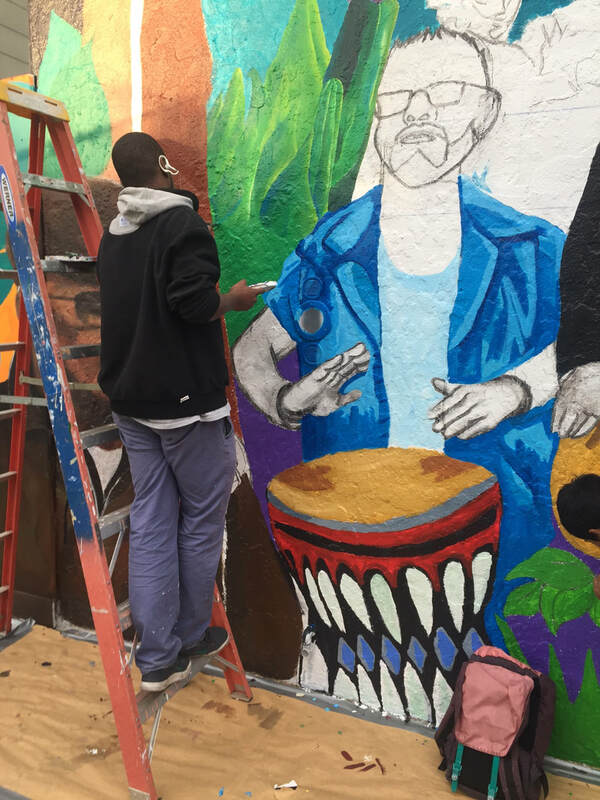 Led by muralists Max Marttila and Fred Alvarado, youths age 14-to-22 worked with scores of photos and anecdotes provided by musician Richard Segovia, who lives in the corner house on York at 25th Street that hosts the tribute. 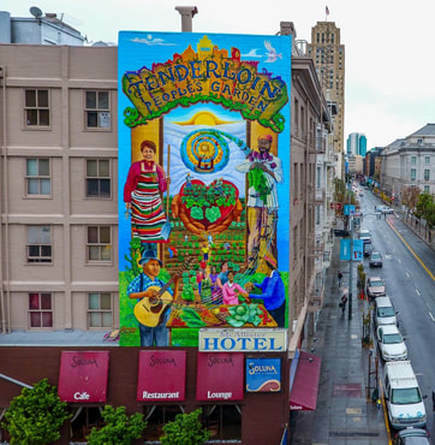 In addition to legendary local musicians — including members of Malo, Daquilla, Abel and the Prophets bands, salsa singer Mala Rodriquez, and, of course, Carlos Santana — the mural features a jukebox, instruments, animals, jungle foliage, and playful cartooning. 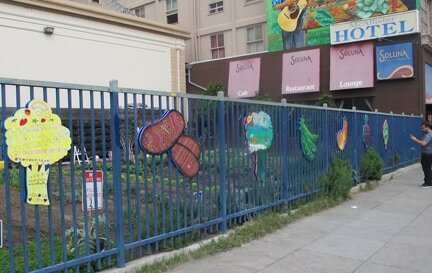 The motto of San Francisco's United Playaz youth program — "It takes the hood to save the hood" — emblazons one wall. 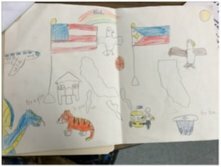 The handiwork of youth program participant Jude Pagpaguitan can be seen in the mandala that crowns the house behind portraits of Segovia and his family. Pagpaguitan and his older brother Jamar have been painting with Precita all summer, "I like that I can find my own style, and improve it," says the 14-year-old art student. "I learn a lot of new things everyday." Margie White, one of the lead artists, is a frequent volunteer with Precita. Today, she's putting final touches on some of the 87 portraits featured in the mural. "I grew up in the area, and I really had no idea about this part of the Mission's cultural heritage," she said. "I'm just happy to get out here to paint and make public art." 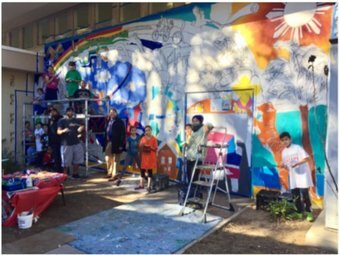 The mural is one of two to be completed this year as part of Precita's Visions of Youth/Walls of Respect program, with support from a California Arts Council Creative California Communities grant. 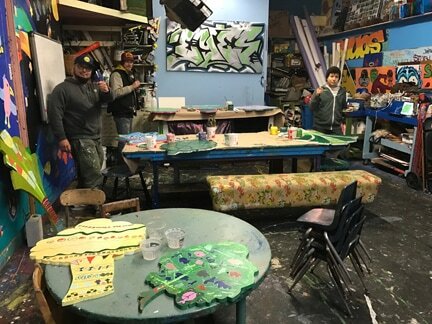 Design workshops for the second mural, also in the Mission, got underway in mid-August (Sessions take place Tuesdays and Saturdays at the Precita Studio. More information here.) 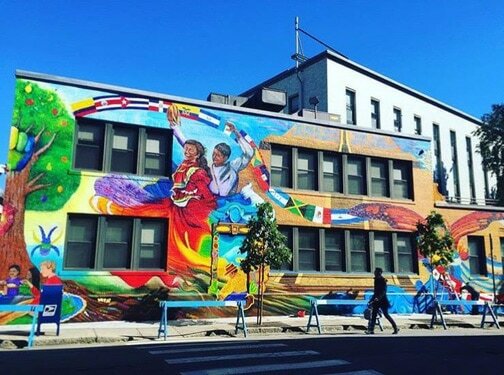 Previous murals produced in 2015 as part of this youth project includes the iconic La Rumba No Para and Presente! works on 24th Street. Tyler Cohen, intern, and Margie White, guest artist, preparing to add some finishing touches. to working with its Urban Youth Arts program, and is helping to organize this year's festival. 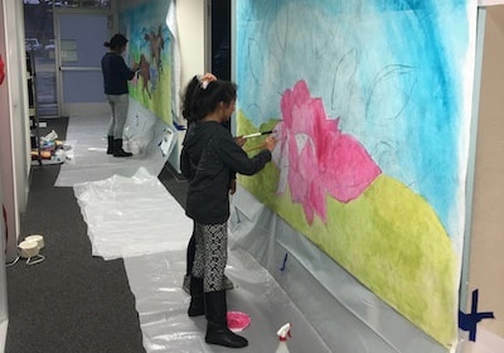 I teach young people how to use paint but also ways to organize and work together to make murals happen. Teaching people how to work together is a big part of what we do. It’s a community thing, but it’s also a team thing. I’ve seen my students grow. Sense of community is really important to them and they incorporate that into what they do. Seeing a mural they worked on years ago, that sense of ownership, is their placeholder in history. It's really self-affirming. —Precita Eyes Way blog post "Put the boy on!" Precita Eyes Education Director Yuka Ezoe spreads the word. 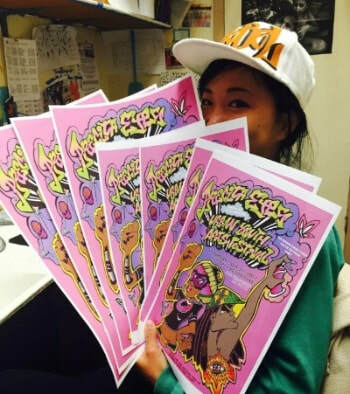 SPONSORS: San Francisco Recreation & Parks, Trick Dog, YMCA, Wing Wings, Blick Art Materials. 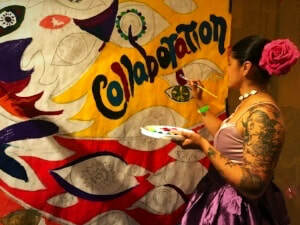 ​our mission," says Susan Cervantes, founder and director of the 40-year-old mural arts center. 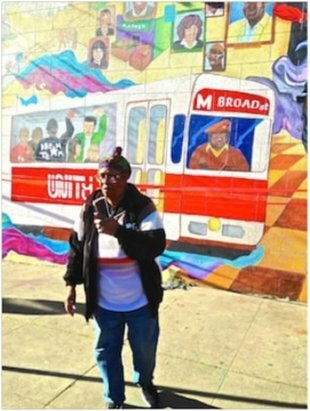 "And there are so many older community murals that need attention." WALLS OF GENERATIONS: At left, faded newspaper clip from 1992 of Precita Eyes artists Susan Cervantes and Selma Brown painting the mural that rings the top of The Great Cloud of Witnesses, inside the Ingleside Presbyterian Church. At right, Cervantes' son Suaro atop a scaffold 25 years later, preserving the giant collage. Panorama of The Great Cloud of Witnesses of the Gymnasium. Top row shows the deterioration of 30 years in the elements. 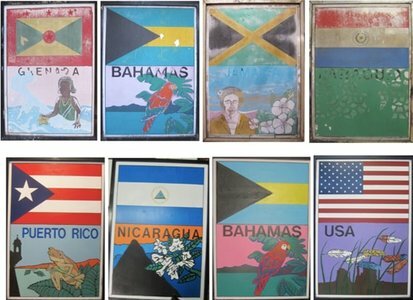 Bottom row shows national symbols in their newly restored glory. 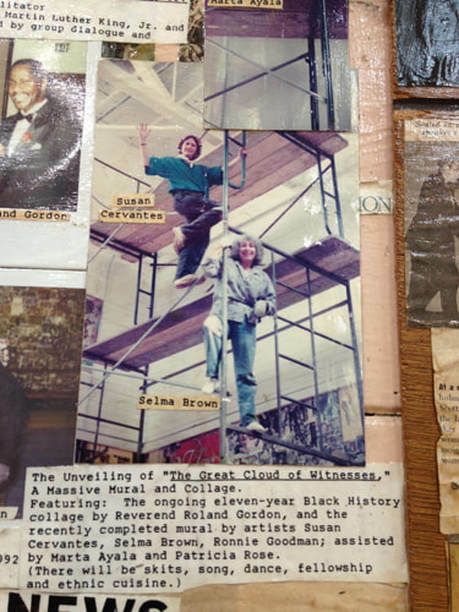 Full restoration may involve not only the muralist, but also a support crew of historians, architectural preservationists, community activists, and the guiding spirit of the original artists. In the best scenario, the creators themselves can undertake the restoration. 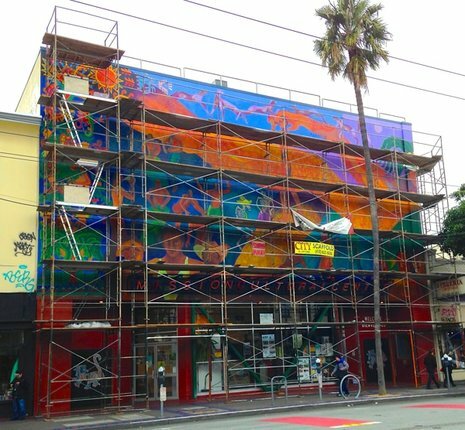 Such is the case with work now underway on the Mission Cultural Center for Latino Arts (2868 Mission St.), where two of the original muralists — Carlos Loarca and Betsie Miller-Kusz — are leading the process. 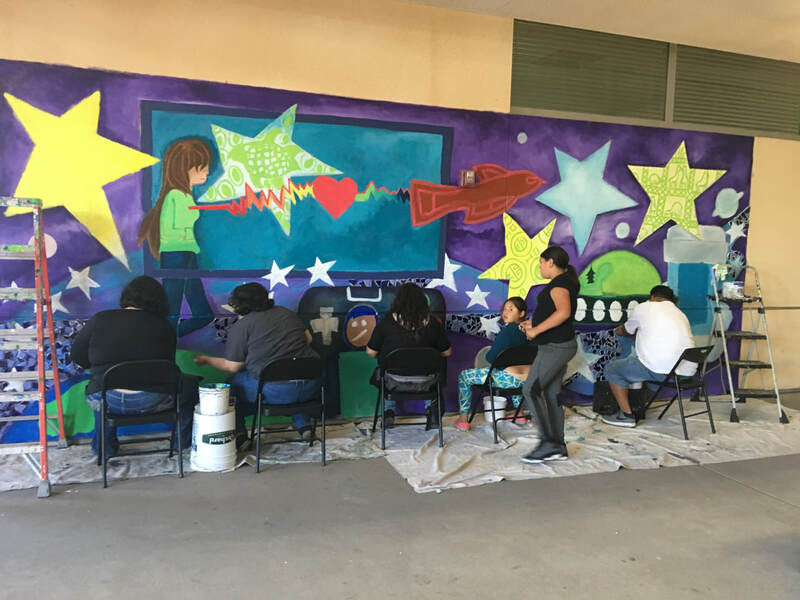 With funds raised by the Puentes Mural Project Committee (chaired by Precita Eyes founder Susan Cervantes), the 3700-square foot facelift began in early April and will take approximately a month to complete. In the absence of the original artist, the work is entrusted to borrowed hands. "When you restore a mural, you don't paint the way you'd paint a mural from scratch," explains Carla Wojczuk, a Precita Eyes collaborator . "Up close, every painted image breaks down into its abstracted brushstrokes, and those brushstrokes are not yours, but those of the original muralist. Instead of applying your own artistic interpretation, the goal is to bring back to life what was originally there." 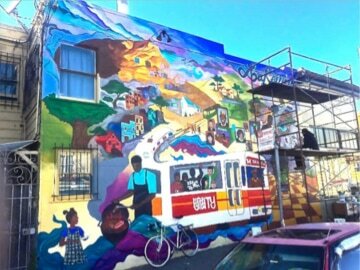 FACELIFT: After 33 years, the Mission Cultural Center for Latino Arts mural gets a touch-up.